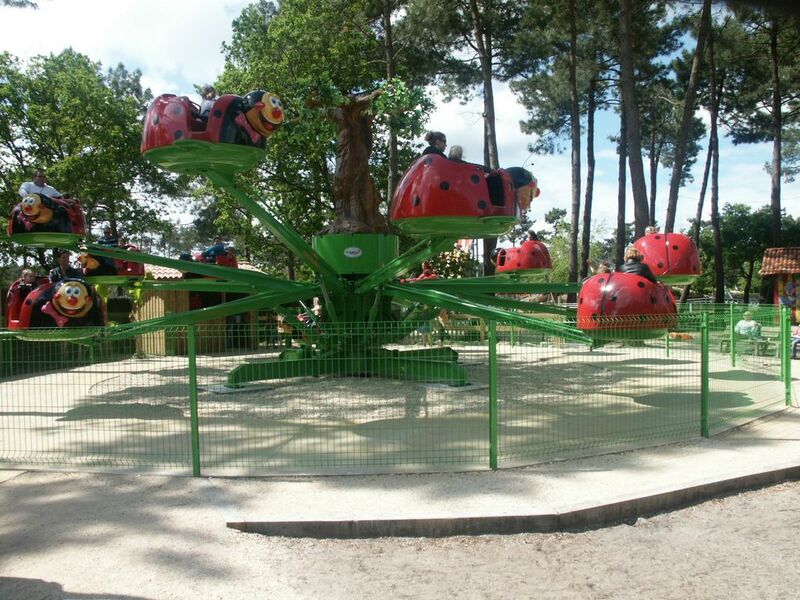 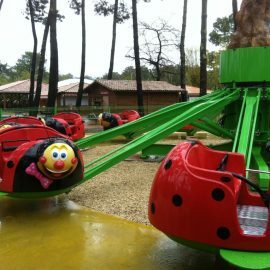 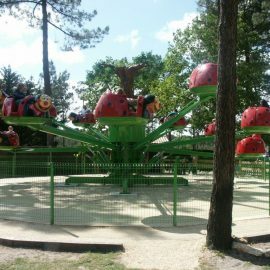 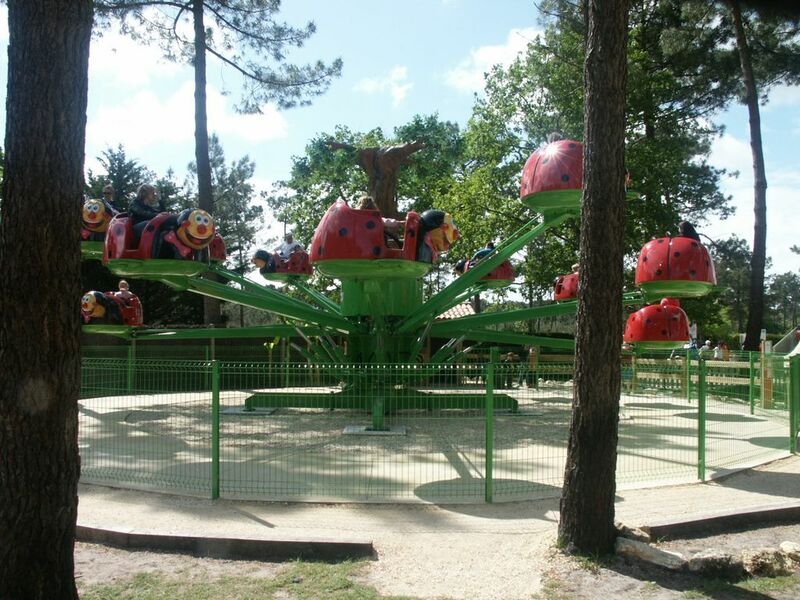 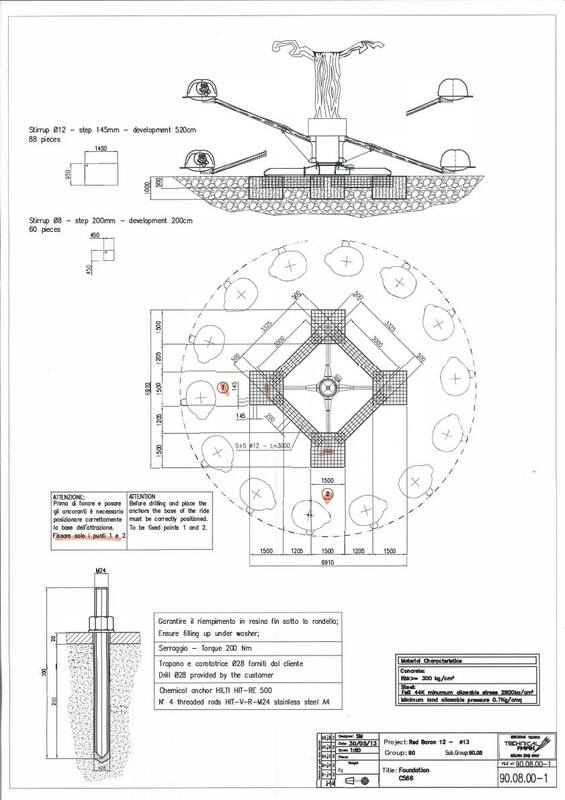 This mini avio ride consists of a base carrying a decorative centre that supports the ladybird-shaped vehicles. 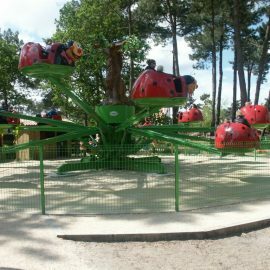 The ride can rotate either in a clockwise and counter-clockwise direction and the 2 seater gondola are equipped with interactive lifting control to rise up the supporting arms by means of hydraulic cylinder. 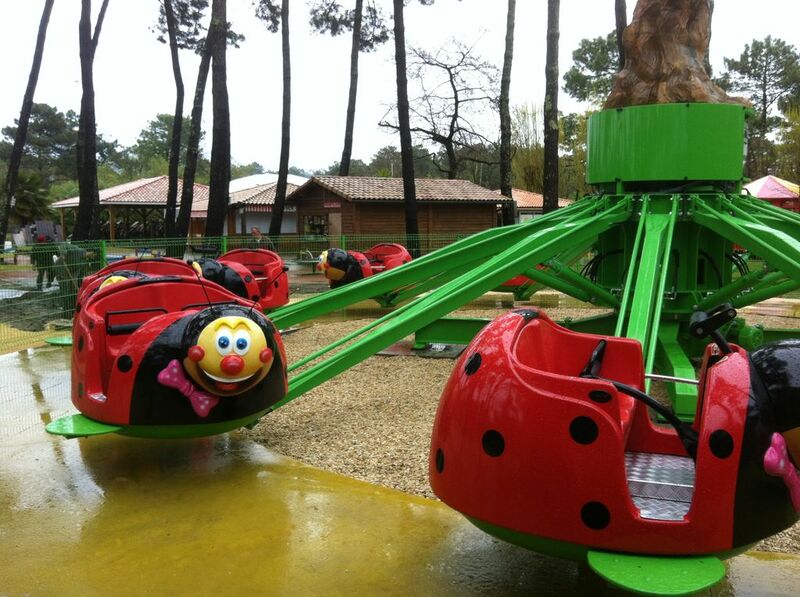 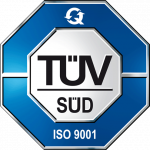 The seats are equipped with an independent safety bar on femurs for each passenger.